The scientifically validated Health Reviser hardware/software system delivers more than 15 years of scientific research from major universities and health scientists directly to a user’s desktop computer. So health-cautious individuals, people suffering from hypertension, and beginning or advanced athletes are now able to monitor stress levels and assess and improve personal fitness. Using a pulse sensor plugged into the computer’s USB port, Health Reviser collects real-time heart rate variability data. Then it translates that information into user-friendly graphics to interpret the results and display them on the computer screen. No technical background is necessary to use the product. It is designed for the average consumer, presenting data in an easy-to-understand, intuitive format. 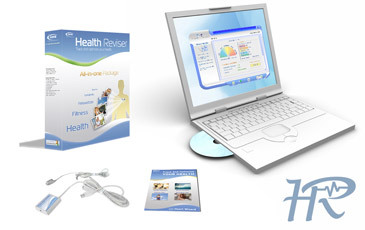 Health Reviser Professional is designed for professionals with multiple client bases (weight management specialists, fitness clubs, chiropractic clinics, etc.) to evaluate and improve their clients' health, fitness and to track the effectiveness of their services provided. Using this tool professional coaches and personal trainers can assess and keep track of health and fitness level of their teams and clients. Healthcare professionals may use the Health Reviser™ as a screening tool to assess health and fitness of their clients and larger populations of employees of the businesses they provide professional services for. Doctor A from Minneapolis, Minnesota discovered a stable decrease in his autonomic balance for the period of the last few months. Scheduled laboratory diagnosed him with a tumor, still treatable. His life was saved. Salesman B from New Zealand visited a health & fitness booth where Health Reviser was presented with a free trial tests. He tried Stress Monitor which could be useful with his daily job. From the first minutes of use Stress Monitor was alerting him with the highest stress level. Salesman was assuring Health Reviser team that he's in fact OK and left the booth disappointed, thinking that something was wrong with this product. Three days later we got a phone call from his wife to let us know that he got a heart attack but now he's OK, ready to use Stress Monitor on a constant basis. No health claims are intended and statements made here have not been evaluated or approved by the U.S. Food and Drug Administration. If you have a medical condition, are pregnant, or if you seek medical advice, please consult your health care professional. Health Reviser is not a doctor replacement. However, when using wisely, Health Reviser can be a great help in managing your health and fitness, monitor and relieve stress. We encourage you to use it wisely, getting most benefits out of it. If you have any suggestions or comments on how the system works, or want to know more about the product and how to use it, do not hesitate to contact us. We'll always be glad to hear from you! Health Reviser's award winning technology incorporates more than 15 years of scientific research and being used by more than 50 educational institutions in USA and Europe, by thousand doctors and researches around the world. Health Reviser is a health system that is designed to assess information about your health & fitness state based on the information collected by a small device called Pulse Wave Sensor. Health Reviser can detect existence of a health problem or its absense. It does not provide any specifics on found issues or negative trends in people's health. In order to get that information the Health System analyses the state of the Autonomic Nervous System (ANS). ANS is a part of the nervous system that non-voluntarily controls all organs and systems of the body and therefore "knows" if anything there are any problems with any of the organs in the body. The process of assessing the state of the autonomic nervous system is called Heart Rate Variability. 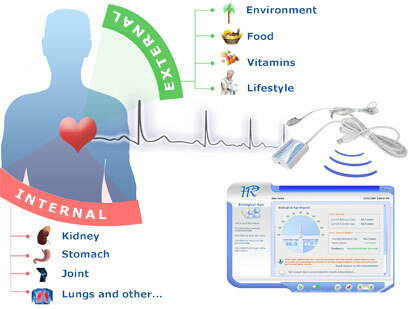 Health Reviser includes Pulse Wave Sensor and a software that is installed on a computer. The device is used to collect amplitudes for every single heart beat during the assessment period as well as the time interval between each pair of heart beats. The information collected by the device is being used in Heart Rate Variability (HRV) Analysis which is meant for thorough evaluation of the autonomic nervous system (ANS). What is Heart Rate Variability Analysis? 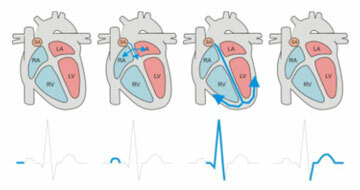 The heart rate variability analysis is a powerful tool in assessment of the autonomic function. It is accurate, reliable, reproducible, yet simple to measure and process. The source information for HRV is a continuous beat-by-beat measurement of interbeat intervals. In the last ten years more than 2000 published articles have been written about HRV. HRV has been used as a screening tool in many disease processes. Various medical disciplines are looking at HRV. In diabetes and heart disease it has been proven to be predictive of the likelihood of future events. In 1996, a special task force was formed between the US and European Physiological associations to outline current finds on HRV and set specific standards on using HRV in medical science and future practice. Since then a steady stream of new information and value continues to come out of HRV research. Why Assessment of the Autonomic Nervous System (ANS) is important? As you probably know, autonomic nervous system (ANS) is a part of the nervous system that non-voluntarily controls all organs and systems of the body. In case of any changes in the behavior of inner organs, ANS changes its state to allocate resources needed to heal malfunctioning organ. In most cases, ANS is able to normalize the balance and successfully repair inner organs. However, sometimes organism self-healing methods may not help, or take significantly longer and require a special external treatment, which can be food, vitamins, rest, surgery or something else. So, the change of the state of the Autonomic Nervous System can be easily captured by the HRV Analysis. Then, when the state is captured, how do we know whether it is a "good" or a "bad" state? Health Reviser scientists collected huge amount of HRV data from dozens of thousands of healthy individuals of different age and gender which includes the information about different states of the Autonomic Nervous System. It happens that ANS states vary from one individual to another, especially of different age and gender. It is very important to enter the correct personal information in Health Reviser's profile since it is used to match the state of your Autonomic Nervous System to the range of "healthy" states of individuals of your age and gender. Only then you'll get the correct results about your health and fitness. For instance, one user who revealed tumor on its early stage of development using Health Reviser's technologies, sent us his health data report, similar to the screenshot you're seeing above. There you can see that tumor caused both sympathetic and parasympathetic nervous system decrease their levels, while both levels are still in balance. On the sample screenshot above you can see the declining trend of both calming and activation energies for a period of 13 months. This pattern makes Health Reviser alert the user, recommending him to visit a doctor. Another example of Health Snapshot report was brought by one of our colleagues. Health Snapshot showed decrease level of parasympathetic activity for a period of several months. Following doctor visit revealed lack of iron is his blood. In more friendly terms, in this case Health Snapshot report showed the level of Calming energy below normal while level of Activation energy was still within its normal ranges within the period of several months. Calculating Biological Age.It’s not a secret that there are lots of ways to calculate biological age. Most known and most popular free methods are questionnaires. When you answer a series of questions about your habits and lifestyle, you’ll get an answer based on what your age should be. Assuming that the questionnaire covers all sides of your wellbeing answered correctly from your side, the physiological input is missing. As an example, your body might be experiencing a lack of a particular vitamin or got a disease on the early stage. The latter lowers your biological age significantly while you can’t feel that yet. And that is not taken into account to report your biological age.Therefore, the result from questionnaire is less likely to be correct. Biological Age assessment - new method. Being aware of this problem, scientists and academicians from USA and Europe have spent several years on research about the subject of biological ageing. They came up with a simple to use tool that evaluates person’s biological age in 1 minute. This test can be performed at home or a health club that is enrolled into Health Reviser’s wellness program. But how it works? Biological Age Test - how it works.We mentioned above about the physiological input to assess biological age correctly. This “physiological input” is implemented in Biological Age test. It’s known that baroreceptor strength is declining with age. The reason is simple: the sensitiveness of the body to any external or internal stimulant makes body easily adaptable to new environment and tells about its strong immunity to fight diseases. Therefore, it was decided to include both ANS and baroreceptor strength analysis into Biological Age test. Remember, Health Reviser program does not diagnose or treat any disease. The guidance you get from Health Reviser is in the form of alert when your health metrics escaped off normal ranges. To get a detailed diagnose and get a treatment, you must visit a qualified physician.